Before the days of the internet, mobile phones and on-demand streaming services, there were only a handful of TV channels at our disposal. Movie premiers and new episodes of the latest must-watch TV show were affectionately referred to as event TV or water cooler moments that would be discussed the following day. Those days are long gone. Everybody now has a personalized schedule that they watch at their own pace. You can seldom talk about any show with a friend, colleague or significant other without someone shouting spoiler alert. Have no fear; this is not another nostalgia-fuelled post looking back at our analog past through rose tinted glasses. But, are we about to come full circle? As 2018 came to an end, Bird Box dominated conversations on our newsfeeds. The Ted Bundy Tapes and the Fyre Festival documentary quickly followed to ensure that Netflix continued to dominate online discussions. Netflix appears to be on a mission to bring back the cultural conversation. However, this time around our daily narrative will be determined by data. For example over the holiday season, Bird Box became the movie that everyone was talking about. But, if we take a look under the hood, are we being played, rather than the film itself? Everybody knows a Netflix user that is overwhelmed by choice and unable to choose what to watch after 30 minutes of scrolling. The streaming platform tries to make it easier for everyone by using their viewing data to suggest other titles of interest. The result is that Netflix can now recommend something suitable to watch quicker than we can ourselves with alarming accuracy. However, let’s dig a little deeper. A closer look at the entire viewing data across the platform will quickly reveal the most viewed actors, directors, and genres. Could data be used to determine the next Netflix Original movie or show rather than traditional content creation methods? 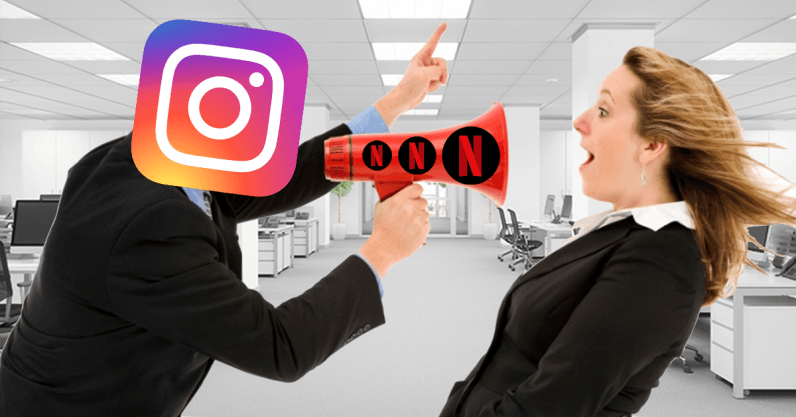 There have also been rumors that the Bird Box memes that dominated our timelines were created by Netflix to generate hype and start social conversations. Finally, Netflix, heavily promoted Bird Box on the banner at the top of the screen to deliver a fear of missing out of the latest pop culture conversation. Those looking for a conspiracy will quickly find information to support their argument. For example, 9,000 separate accounts tweeted a Bird Box meme with the same typo: “Dr.Lapham” with no space. Film reviewers also pointed out that the movie itself felt like it was forcibly screwed together, a movie marionetted by strings of data code. Armed with an SEO-friendly name, many believe that Netflix created a narrative using the release as meme bait to manipulate its audience. What’s the big deal? Nobody get’s hurt and 45 million viewers tuned into the movie within its first week of release. As we finally begin to emerge from our echo chambers and surrounding ourselves with only things that we like, are we preventing ourselves from exploring ideas outside of our comfort zone? If data suggests that Sandra Bullock in a survival horror movie would be a huge hit regardless of if it’s actually any good, are we sacrificing the traditional creative process? In a digital age of instant gratification, organically growing your traffic is being seen as too time-consuming and risky. But, does it really matter if a movie is being made more palatable by an astroturfing marketing campaign where memes are posted by bots to fuel the cultural narrative? However, this is just one example. The Genius YouTube channel has also used similar tactics with bright yellow thumbnails to capture attention. Essentially the channel stands accused of being a meme factory using cynical tactics to grab easy hits to appease their advertisers. The battle to steal the cultural conversation and daily narrative that dominates our social media newsfeeds and timelines is undoubtedly underway. As users and members of the global online community, maybe we should learn to question content and the daily narrative that has been designed to manipulate our thinking before we hit the share button. As we seamlessly consume content across multiple devices, we are increasingly consuming whatever the algorithm or Twitter trend tell us to watch. But the biggest casualty is serendipity. The happy accidents that lead to discovering new things that you shouldn’t like but end up loving are something that even the most complex algorithms would struggle to comprehend. Am I alone in finding something quite beautiful in that?